5-6 servings | 45 min. Add all the marinade ingredients with the chicken and marinate for 20 minutes or overnight. Sauté the marinated chicken in sunflower oil until cooked (about 4-5 minutes) then set aside. Make gravy by placing sauté pan over medium heat and add butter and sunflower oil. Sauté garlic until fragrant and soft. Add the flour and cook for a minute. Add chicken stock and simmer gravy until thickened then add the chopped basil. Add the sautéed chicken in the gravy then toss the cooked spaghetti into this sauce. 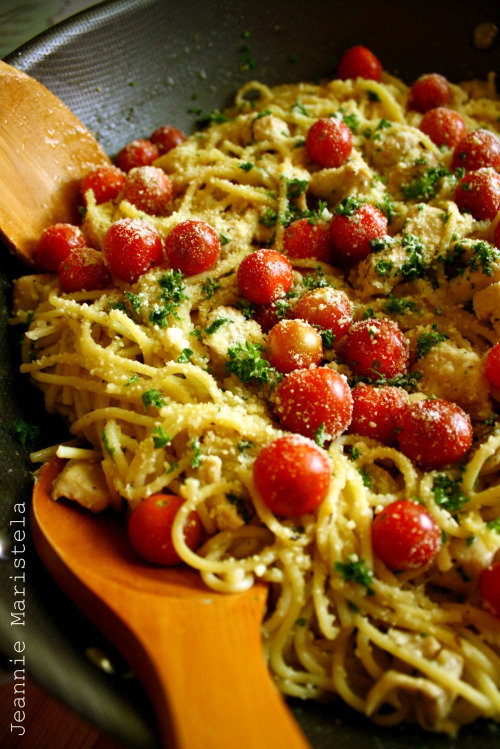 Add the cherry tomatoes and finish the dish with the chopped parsley and grated parmesan cheese. 6 servings | 45 min. Put the mushrooms and leeks in a large resealable bag. Combine the oil, vinegar, chili powder, salt, and garlic, and add it to the bag with the mushrooms. Massage the vegetables gently to coat well with the marinade. Refrigerate for at least 30 minutes and up to 48 hours. Preheat the grill to medium-high heat. Spray a vegetable grilling tray or a piece of foil with nonstick cooking spray, or brush it with a little vegetable oil, and heat it on the grill. Drain the vegetables in a colander and transfer them to the grilling tray. Grill them with the cover closed for about 15 minutes, flipping them once, until they are tender and partially browned but not charred. 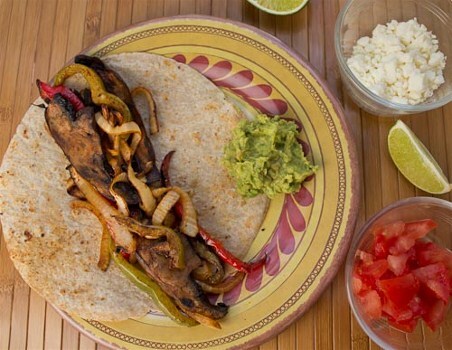 Heat the tortillas on a hot skillet for 30 seconds to 1 minute so they are soft and warm. Place about ½ cup of the vegetable filling on the center of each tortilla, top it with about 2 tsp cheese, and about 1 tbsp each sour cream, guacamole, and salsa, if desired. Fold the bottoms up and the sides in and serve them immediately. Optional: The original recipe calls for bell peppers and onions rather than leeks. Use any combination of these for your preferred taste. 1. In a half pint (1 cup) jar, add oats, milk, yogurt, chia seeds, honey, and vanilla. Put lid on jar and shake until well combined. 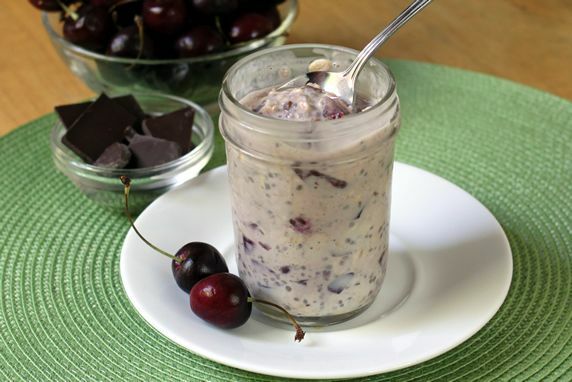 Remove lid, add chopped chocolate and cherries and stir until mixed throughout. Return lid to jar and refrigerate overnight or up to 3 days. Eat chilled. 12 biscuits | 20 min. Add coconut oil to dry mix and cut into mixture until the texture is similar to fine crumbs. Stir in the milk until a soft dough that no longer sticks to the sides of the bowl is formed. Knead the dough until combined, but do not over-knead. Turn the dough out onto a cutting board that has been lightly dusted with flour and gently roll into a ½ in. thickness. Use a biscuit cutter (or other item that can create a 2 in. 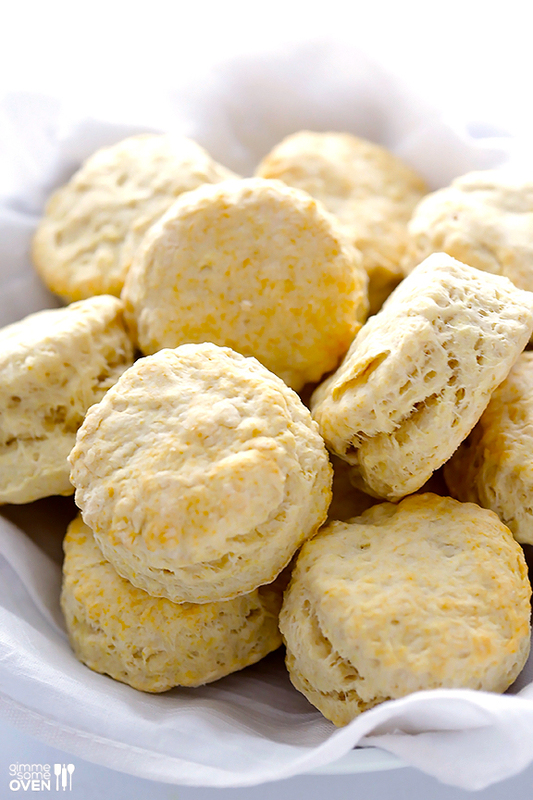 circle) to cut out the biscuits and transfer to a baking sheet. Bake for 10 minutes or until the biscuits have risen and ever so slightly begin to brown on top. Remove and serve immediately.